ID card printers are capable of more than ever before. Current printers print colorful single sided ID cards quickly and efficiently. Basic printers can come with optional features based on your card printing requirements. Often they can be updated with additional features as your requirements change. For Lowest Pricing: Many of our printer manufacturers require us to list retail pricing on our website. For your lower price, create an account, or contact us by phone or email. 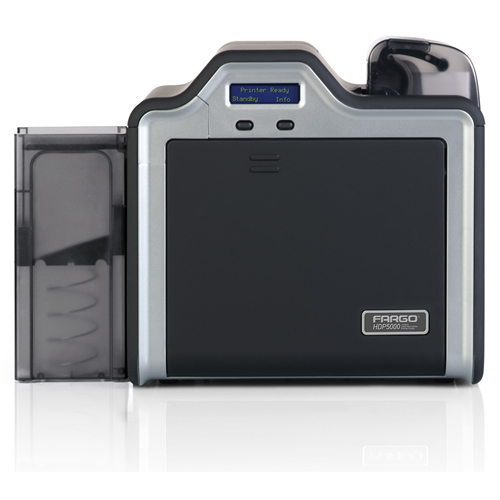 Evolis Primacy Simplex Single-Sided Printer with Color Touch Screen.